We are happy to announce the Azure IaaS VM backup support for network restricted storage accounts. With storage firewalls and Virtual Networks, you can allow traffic only from selected virtual networks and subnets. With this you can create a secure network boundary for your unmanaged disks in storage accounts. You can also grant access for on-premises networks and other trusted internet traffic, by using network rules based on IP address ranges. With this announcement, we provide an ability for the user to perform and continue with scheduled and ad-hoc IaaS VM backups and restores for these VNET configured storage accounts. 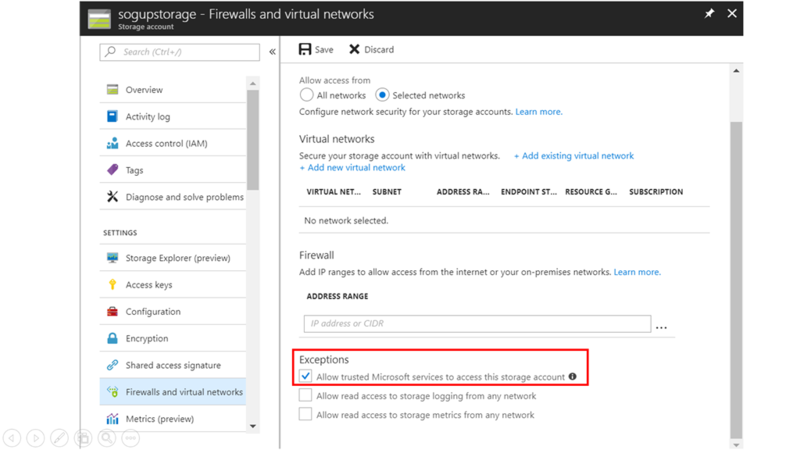 After you configure firewall and virtual network settings for your storage account, select Allow trusted Microsoft services to access this storage account as an exception to enable Azure Backup service to access the network restricted storage account. This network focused feature gives the customer a seamless experience by defining network access-based security. 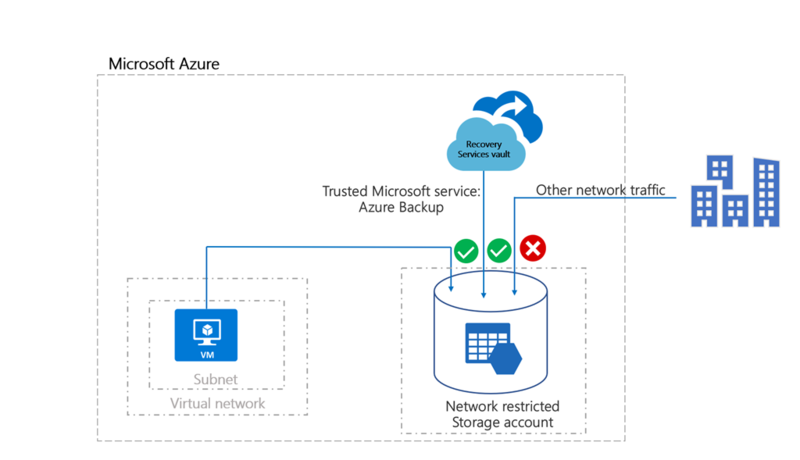 This ensures that only requests coming from approved Azure VNETs or specified public IP ranges will be allowed to a specific storage account making it more secure and thus fulfilling the compliance requirements of an organization. Sign up for a free Azure trial subscription.